Google still not announced Nexus 6 officially and it pops up on AT&T earlier. 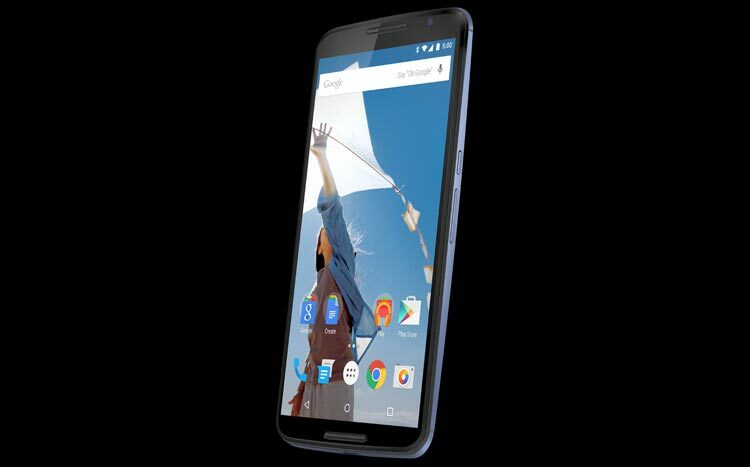 Not only that @evleaks also aired Google Nexus 6 press image on his twitter account. According to rumors, Google is expected to be officially unveiled Nexus 6 and Nexus 9 today. Evan Blass aka @evleaks, who is famous for smartphone leaks shared the fresh picture of Nexus 6, and it appears to be a press shot of the device. 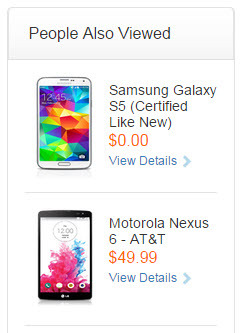 Where as on AT&T, Nexus 6 appeared in the sidebar as a placeholder with price tag of $49.99 with contract on listing page of LG G3 Vigor – Silk White. Check out the below image of AT&T placeholder with Nexus 6. According to rumors, the Nexus 6 will be a 5.9-inch Quad HD device packing a great assortment of high end specifications like a quad-core Snapdragon 805 processor, 3GB of RAM, 32GB of internal storage, a 12-megapixel rear camera, a 2-megapixel front-facing camera and 3200mAh battery. It will come with Android L.
Let’s see, does Google made it official today or not!! !